The future of transportation is going to be weird. The personal automobile, so dominant for the better part of a century, may soon be joined on the road by all manner of alien machines, from e-hoverboards, to drone-copters, to walking cars and four-wheeled bicycles. Even automakers acknowledge that the importance personal automobile will wane and alternatives will not replace it, but at least supplement it. Our transportation grid will become more complicated, but, hopefully, cleaner and more efficient as a result. The annual gadget-fest that is Consumer Electronics Show has, in recent years, been invaded by major automakers exhibiting their concepts alongside the likes of Google, Samsung and Huawei. The car companies aren’t just bringing cars to the show, they’re bringing any device that might help people get where they’re going faster, or more easily. 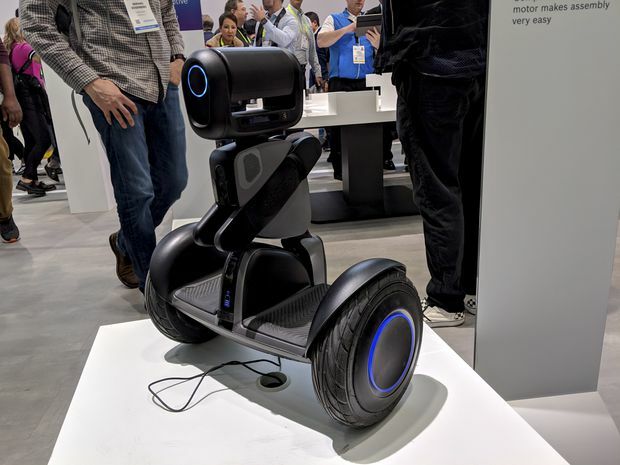 These are some of our favourite alternative mobility concepts from this year’s CES. The Seed prototype is one of the rare mobility concepts as CES that will become a real product. The four-wheeled machines leans into corners and the seating position is almost car-like. There’s no throttle, so you need to pedal in order to get a boost from the electric motors. Range is rated at around 100 kilometres before the battery is depleted and it’s all up to your legs. Created by Sungdae Lim and Jungnam Choi, senior engineers at Hyundai Motor Group, the Seed should be in production by early 2020 they said. It’s legal for use in bike lanes in Europe, Choi added. Supermarket chains could use it to make local deliveries, but it’s not just for megacities. “Developing countries, they have a right to mobility but all the big companies are focusing on big cities,” Lim said. He sees a market for the Seed in those rural places too. This electric hydrofoil surfboard is the brainchild of Franz Hofmann, an engineer at Audi, who completed the project in just 100 days. The prototypes are made of carbon-fibre and 3-D printed aluminum, all built in-house by Audi in Ingolstadt, Germany. “It feels like a combination between surfing and flying,” Hofmann said. “And a little like snowboarding in that you’re carving, but it’s totally unreal.” He hopes to have it in production in 2020. Maximum speed is a slightly frightening 47 kilometres an hour. Shareable e-scooters are popping up in cities from San Francisco to Berlin to Madrid. In most places, the law requires riders to have a helmet, but most people don’t usually carry one around on the off chance they’ll need to take a quick scooter ride. 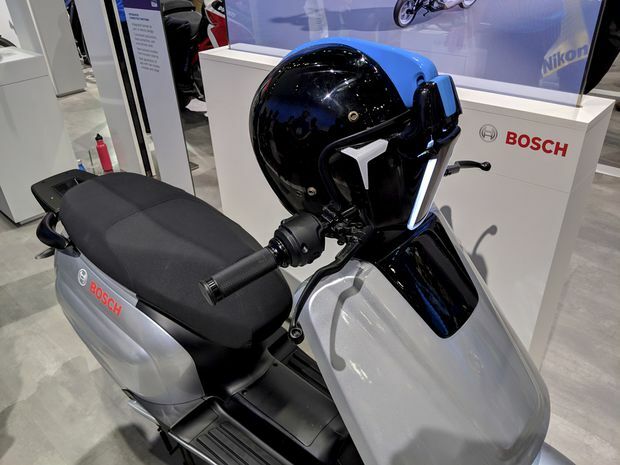 This Integrated Helmet System concept from Bosch aims to solve the problem by building the helmet into the scooter. You unlock both via an app. “We see there's a big potential for electrification, so we're looking for new opportunities,” said Jan Steppat, product manager for electrified components at Bosch. He added that, in China, 25 million new e-scooters are sold there every year. The Loomo is part drone, part hoverboard. With a 350-watt in-hub motor, it can reach 17 km/h and travel approximately 35 km on a single charge. If you prefer to walk, it can be set to automatically follow behind you. A built-in camera means it can be used as a video-shooting drone or as a glorified selfie-stick. Last year, an Indiegogo campaign raised $1.86-million to put the Loomo into production. It’s available now for just less than $2,000. In 2017, there were six or seven electric skateboard manufacturers; last year, there were about 20, said Jacob Guo, chief operating officer of Walnutt. The Hong-Kong based company has sold around 8,000 units to date. The Spectra Silver is the brand’s top-of-the-line model. 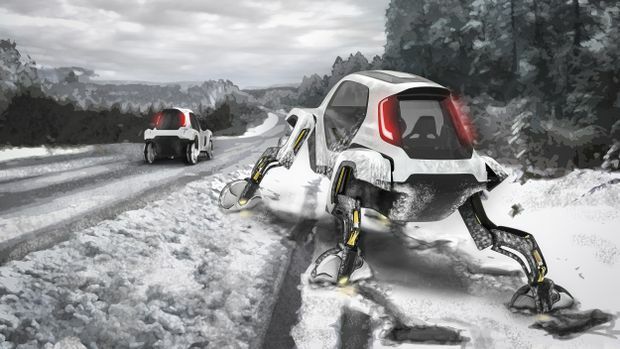 It has four-wheel drive thanks to four tiny in-hub electric motors. It weighs a little more than 8 kilograms and the company claims it can take you 25 km at speeds of up to 25 km/h. Acceleration and braking is controlled by smartphone app. The price? US$1,399. At CES this year, Walnut launched a cheaper $439 board it hopes to sell to shareable companies who would add it to their fleets. Imagine a fleet of these things buzzing around the city. That is Bell’s vision for the Nexus, which it hopes to sell to Uber and other fleet operators who would use it as a flying taxi or delivery vehicle. Bell is a major helicopter manufacturer. Unlike its other products, the Nexus is a hybrid. An engine generates electric power which is supplied to the six ducted fans. Frankie Mazzei, avionics lead engineer for the Nexus, said it’s quieter and more powerful than conventional helicopters, and it requires much less maintenance. The Nexus hasn’t flown yet, but Mazzei said the goal is to have it fully certified by around 2025. “When we certify it, we’re going to certify with a pilot on-board. 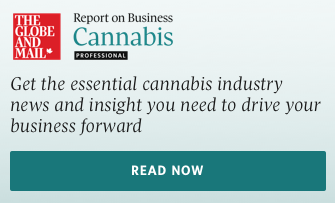 Once we get customer buy-in and acceptance, it will eventually be fully autonomous,” he said. Meet the “ultimate mobility vehicle.” It will haunt your nightmares. Hyundai imagined the Elevate concept could help first-responders get to hard to reach places. Its robotized legs can extend and swivel. “Elevate can drive to the scene and climb right over flood debris or crumbled concrete,” Hyundai vice-president John Suh said in a statement. The vehicle can fold down into a normal sized package that is able to drive along highways. Fully extended, it has a width of 4.6 metres, and can climb over a 1.5 metre wall. Expect it to remain a concept for the foreseeable future. Since Honda first showed an autonomous version of its rugged ATV in 2018, the company has been working with potential operators to refine the idea. “We see this as a tool,” said Pete Wendt, a senior planner in Honda’s advanced products division. “It can do mundane tasks and dangerous tasks to keep employees safe.” For example, Wendt consulted with Colorado wildland firefighters who have to lug 27 kilograms of gear up mountains. “When they get to fires, they’re exhausted,” he said. The Honda bot could carry all their gear, following along automatically. There’s no production date yet, so for now the firefighters will have to keep schlepping.